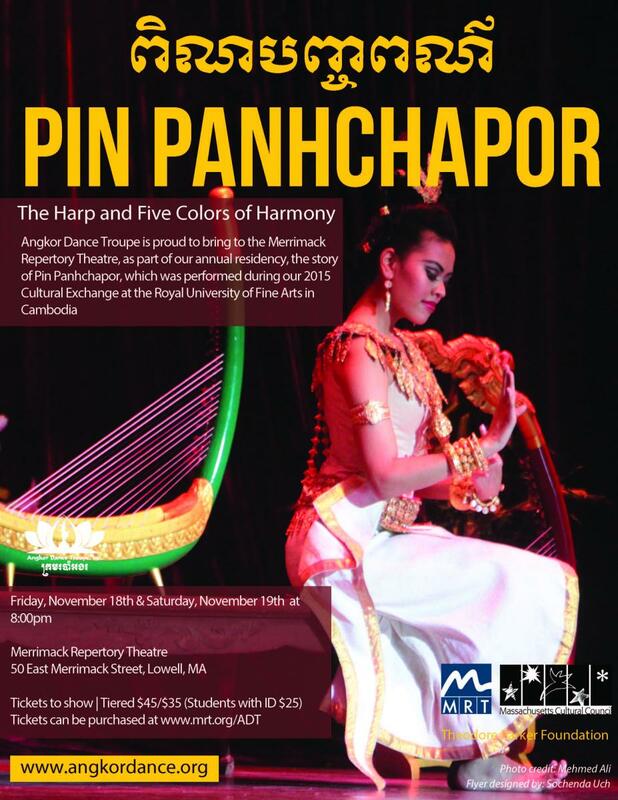 Last fall, Merrimack Repertory Theatre proudly to welcomed Angkor Dance Troupe for their third annual MRT residency. Tickets will be available online (see links above) or by calling 978-654-4678. The story of Pin Panhchapor was performed during Angkor Dance Troupe's Cultural Exchange at the Royal University of Fine Arts in Cambodia.